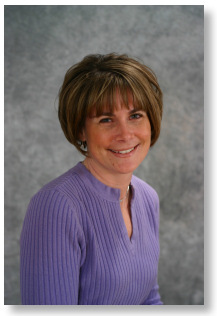 Amy M. Swogger is a partner in the law firm of Ryder & Swogger, P.C., located in Traverse City. She has practiced law in the Traverse City area since 1989, and has been a partner in the law firm of Ryder & Swogger, P.C. since 1997. Amy’s practice is concentrated in the area of family law including divorce, paternity, spousal support, child custody, child support, parenting time, adoption, prenuptial agreements, property settlement, asset division, and post judgment actions. A native of Michigan, Amy was raised in Traverse City. She attended Central Grade School and graduated from Traverse City Senior High School. Amy completed her undergraduate degree at Michigan State University. Following her graduation from Michigan State University, Amy began her career with the Federal Trade Commission in Washington D. C. She attended the Detroit College of Law, where she graduated with honors in 1989. Amy returned to Traverse City after her graduation from the Detroit College of Law to begin her law practice. Amy is the past president (1998-1999) and current member of the Grand Traverse, Leelanau, Antrim Bar Association and a current member of the State Bar of Michigan. She has served on many community associations, most recently as a member of the Traverse City Downtown Development Authority Board of Directors, an Adjunct Professor at Northwestern Michigan College and is a former member of the Traverse City Rotary Club. 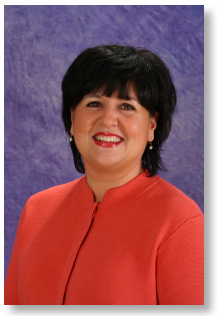 Vicki S. Horton is the senior Legal Assistant for the law firm of Ryder & Swogger, P.C. She has been a Legal Assistant since 1992, and has concentrated her career exclusively in the practice area of family law matters since 1997. Vicki has been a valued member of the Law Firm of Ryder & Swogger P.C. since 1997. A native of Traverse City, Vicki graduated from Traverse City Senior High School in 1990. She earned her Associates Degree from Northwestern Michigan College in 1992. Following her graduation from college, she has worked continuously in the legal field. Vicki has continued to actively support the legal community by offering support to the Grand Traverse, Leelanau, Antrim Bar Association. She has supported the Northwestern Michigan College Legal Assistant program by hosting and mentoring legal interns.